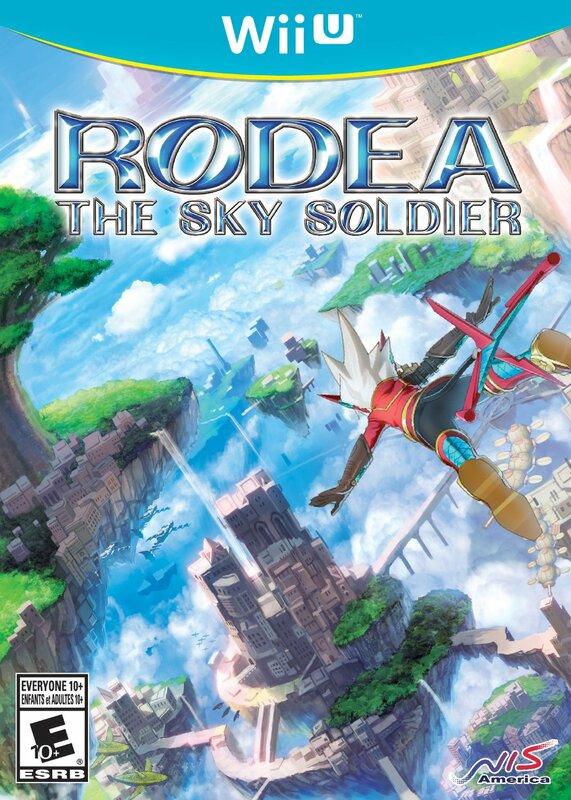 Rodea The Sky Soldier has had a tough few years. Originally announced for Wii back in 2010, Yuji Naka’s latest brainchild was all set for release before it fell off the face of the earth. 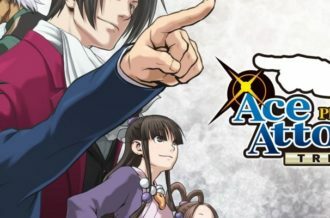 It wasn’t until 2013 that publisher Kadokawa Games revealed that the 3DS version of the title was approaching completion, and the following year announced that the console version had been moved from Wii to Wii U, tweaked and redesigned along the way. Finally, thanks to NIS America, Prope’s intriguing third-person action game has finally arrived in North America. Awakened from a 1000 year rest, Rodea, a robotic soldier with a vow to save the floating continent of Garuda, travels with his chatty engineer friend Ion on a journey to combat the nefarious nation of Naga. While Rodea enjoys the power of flight, he can only glide through the air for a certain amount of time before his Gravity Energy is depleted and he plummets back to the ground. Grabbing Gravitons, yellow gems laid out in lines and loops throughout each stage, or bounding off the side of a structure or enemy, allows him to recharge his Gravity Energy mid-flight and continue without touching down. This limitation forces players to be deliberate in their navigation of each stage, and also wraps some reasonable restraints around Rodea’s fantastic ability. Flight begins in pre-flight mode, which leaves Rodea spinning in midair while the player selects a direction to head in, and the hero can boost, juke, and rise at will once he’s on his way. It’s a little awkward in practice, mainly because the nature of the game’s flight mechanics have changed so much since their original design on Wii. Though obvious efforts were made to sharpen the visuals for the game’s transition to Wii U, Rodea is an unmistakable product of the Wii era. 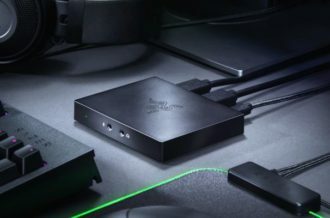 Its textures are muddled and muted, and especially stand out after recent releases like Kirby and Rainbow Curse, Splatoon, and Yoshi’s Woolly World that emphatically illustrate the graphical power of the Nintendo’s latest console. The jagged level, enemy and character designs are all scars from the game’s turbulent development, while the cutscenes look especially stilted and puppet-like in comparison to the beautiful and emotive character portraits used during dialogue segments. It won’t impress anyone with its visuals, but the most significant change to Rodea during its journey to Wii U is its control scheme. Prope originally designed the game to be played with the motion-sensing Wii remote, allowing players to point and click to specific areas of the screen to guide Rodea’s flight with intuitive ease. Shifting to a more traditional twin-stick control scheme is effective, but the game loses much of the fluidity and responsiveness evident in footage of the original Wii version. It’s an unfortunate concession, but Rodea‘s problems can’t be blamed simply on its rocky development history. Sadly, its flaws are much more fundamental. For a game centered around flying, the act itself is far too jerky to illicit the liberating sensation Prope sought to capture. The point-and-click trajectory selection is effective in guiding Rodea around each stage, but he snaps to different destinations at such jarring angles that it’s hard to really feel like you’re in full control of your flight. Rodea’s movement lacks the graceful arcs and responsiveness of Yuji Naka’s other creations, and it feels like Prope never quite managed to manifest its vision in a manageable control scheme on Wii U. 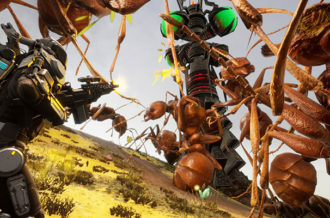 The loose controls make navigating the sprawling levels far more challenging than should be necessary, and even when you finally begin to bend the mechanics to your will, the camera frequently obstructs your vision with disastrous results, often killing your momentum and even Rodea himself. The stages are largely linear, but they rely on verticality and exploration to entice the player into making the most of Rodea’s amazing ability. The first few are bland, barren collections of floating islands that demand little more than flying from point A to point B, but the stages begin to become more complicated as the campaign is delved further into, making compelling use of Rodea’s maneuverability. These more intricate and populated levels maintain a careful balance of action and speed, at least until the designers begin to throw in all sorts of tedious challenges. Tasks like defeating a horde of enemies in an enclosed area or searching for a selection of switches completely take the wind out many stages’ sails, and along with sporadic difficulty spikes the game’s pacing is often infuriatingly inconsistent. Rodea also attempts to incorporate a number of additional tools and mechanics, like a rifle for Rodea, but they’re used so rarely and have such limited effects that they feel out of place. Somewhere during the developments process the designers seem to have lost sight of their creation’s defining elements, as they’ve hidden them between frustrating segments that betray the freedom and excitement inherent in Rodea’s flight. It may be flawed, but at the heart of it all is an intriguing design concept, and there are moments of exhilarating flight and combat sprinkled throughout Rodea even if Prope didn’t nail the execution. 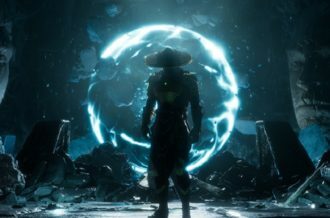 The game hits its stride after the first few chapters and as the levels open up and become more populated, Prope begins to throw more creative and challenging sequences at the player. I enjoyed barrel-rolling away from enemy attacks and quickly striking them from behind, as well as winding my way through the nooks and crannies of later stages using all of Rodea’s maneuverability. 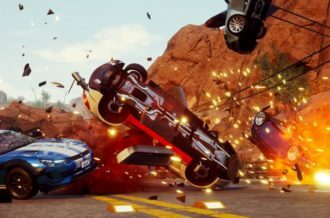 The game’s frame rate, however, frequently suffers during the more visually hectic moments, and I fell right through a couple stages that should have been solid — issues that are simply inexcusable for a game that has supposedly been finished since 2011. Time may not have been kind to Rodea, but Prope also hasn’t done its long-awaited title justice in its current state. That’s a terrible shame, because the aesthetic and premise are captivating, and Rodea himself is a brilliantly designed character that deserves a better debut than he’s received. 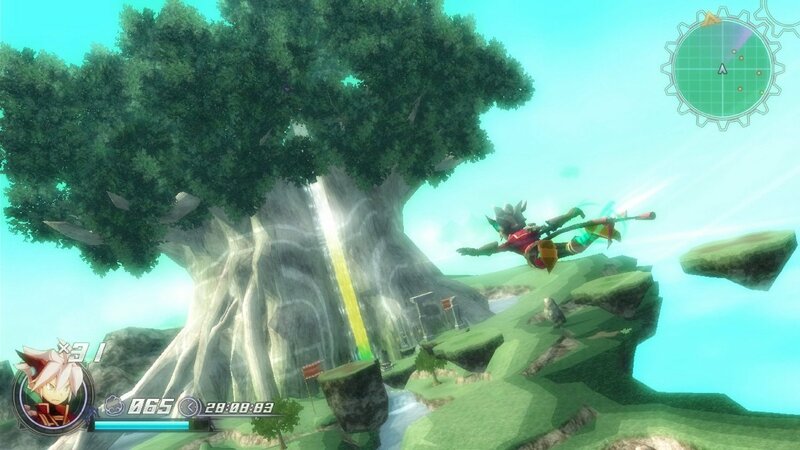 Fans have waited a long time for Rodea the Sky Soldier, but unfortunately the final experience never comes within range of Yuji Naka’s past masterpieces. The issues begin with the fundamental mechanics of flight and persist into its pacing, controls and stability, ultimately tainting even the most joyous moments of freedom afforded by Rodea’s affinity for the open air. 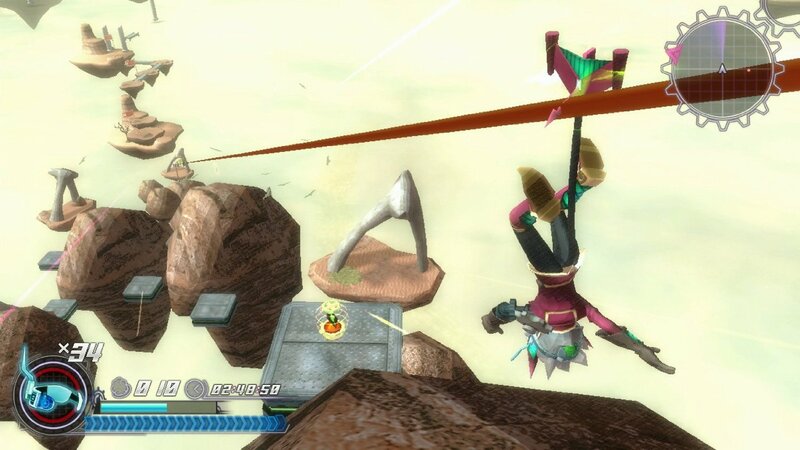 There are moments of bliss that shine through the mess, but the pure celebration of flight that Prope set out to deliver on Wii has lost many of its most important features during the transition to Wii U, and in the end, Rodea the Sky Soldier fails to live up to its lofty ambitions.